So, in this tutorial we will look at ways we can configure SSH to be more secure than it regularly is. This tutorial will not bring new stuff to the table, but rather collect other tutorials and will try to have some explanations made of the actions you are doing rather than just typing commands. We’ll see how to get your Secure Shell really Secure. In your ‘.ssh’ folder you have a little file named ‘known_hosts’. This file contains a list of hosts which you have connected to before. Once you connect to a new host, SSH assumes you are in a secure channel and prompts you if the MD5 sum of the public key of the server you are connecting to, is of the real public key. You should very the key before typing ‘yes’ or at least make sure that you are on a secure channel. This will prevent man in the middle attackers to replace the key of the server without you noticing it. 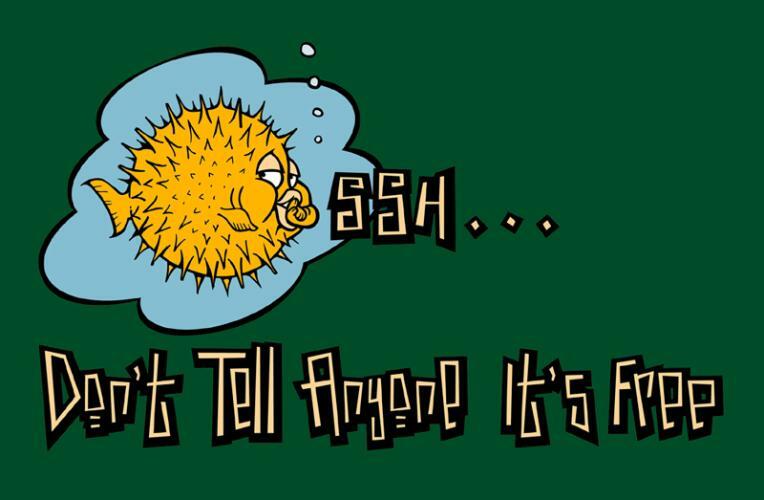 If next time your machine connects to the server using SSH and the public key has changed, you will be prompted to verify the new key. Thanks to Google, we are now able to have easy to create two factor authentication over SSH. Two factor authentication basically implies that your authentication does not relay on your password only but you also use another method to confirm your identity. Usually, it is named ‘Something you know and something you have’ rather then ‘Something you know’. It can be a retina scan, finger print, smart card and many other things. In this case, we are talking about a seed. We have an algorithm which takes a seed number and computes that with the current time stamp to create a 6 digits number. This number will be regenerated every 30 seconds meaning that even if an eavesdropper gets a hold of our password, he/she will still need the token. Download the Google Authenticator app to your phone and install it. Use the QR scanner to scan the code and input it into your Google Authenticator App. Look for the line ‘ChallengeResponseAuthentication’ and change it to ‘ChallengeResponseAuthentication yes’. Ctrl+X to save and exit. Will restart the service and you’re all set to go. A little tip – you might want to configure the Authentication Code request prior to the password prompt to block those annoying brute force attacks. This way, an attacker will have to ‘crack’ the authentication code before being able to try passwords and as we said, authentication code’s life span is 30 seconds. Okay, so we mentioned earlier that when connecting to an SSH server, our client tries to confirm a finger print of the host’s public key. So why not make it the other way around? Another cool thing we can do, if configure the SSH Server (not the client!) to keep a copy of the client’s public key, and use it to authenticate the user. It can be done as a stand-alone authentication (no password or Authentication Code) and it can be done with all of the other things as well, making this a 2-Factor authentication with 3 stages. The great thing about key authentication, is that it is done completely automatically. Unlike the password of the authentication code that you need to input to the server, this will be sent automatically anyway so why not use it as well? Look for the line saying ‘PubkeyAuthentication’ and change it to ‘PubkeyAuthentication yes’. Do not change the ‘PasswordAuthentication’ line to ‘no’ as most tutorials recommend. That will instruct the SSH server not to prompt the user for a password while authenticating a client.